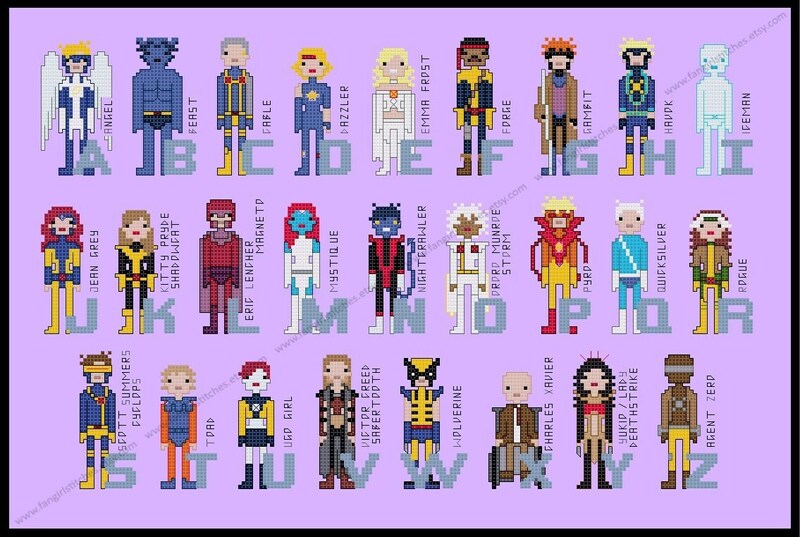 It's time to learn the alphabet, comic book style! 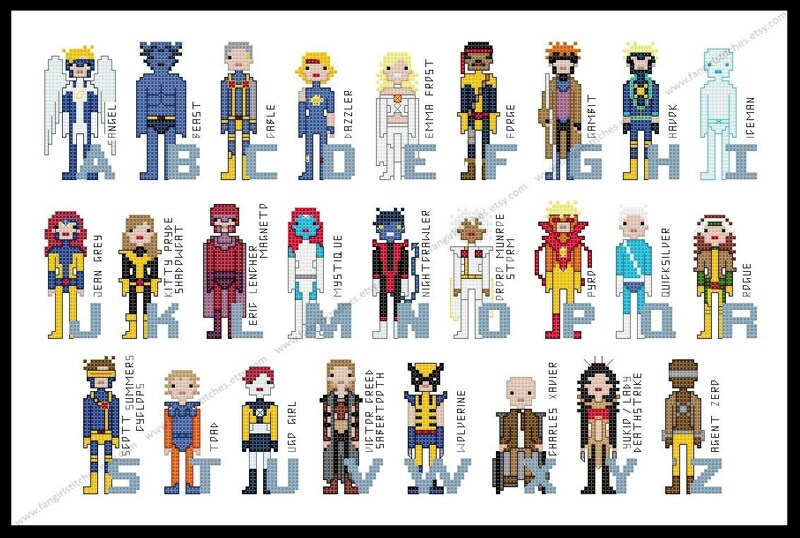 With so many different X-Men, they deserved their own alphabet, and this counted cross stitch pattern features 26 of the most popular characters from Marvel's X-Men universe. The pattern comes with 2 colour charts, including a guide for starting and finishing your project. The main floss key is in DMC. Conversions have been included for Anchor threads, although of course you can adapt it to suit your preferred brand of thread, or those left-over threads you have on hand. This is a parody (inspirational) work. 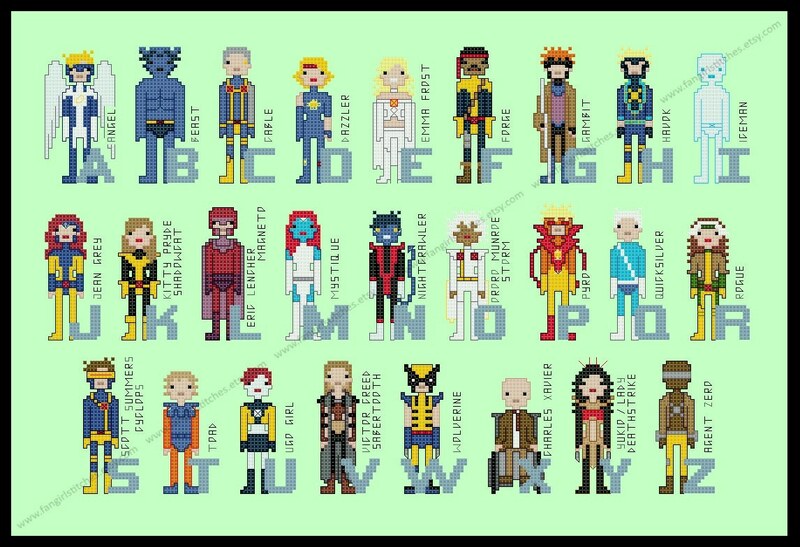 All Marvel characters are registered trademarks of Marvel. 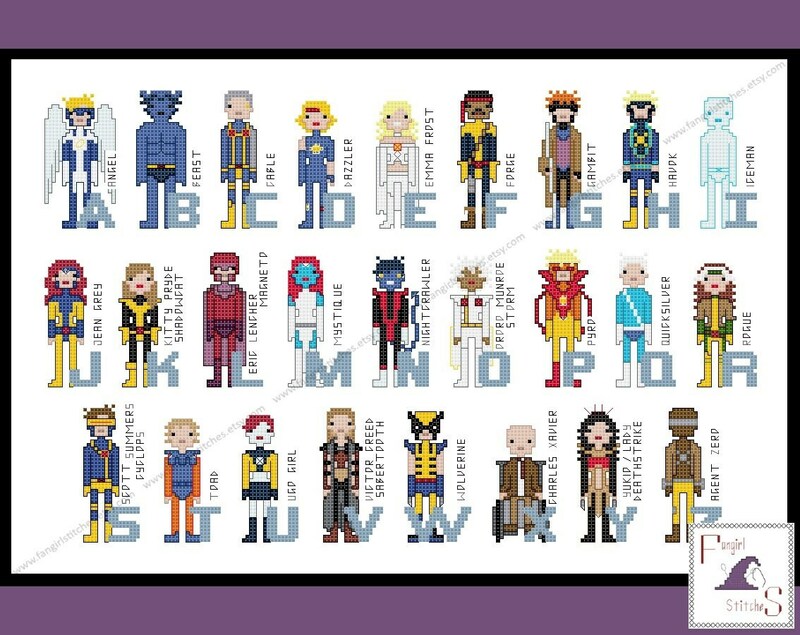 This production is not sponsored, endorsed by or affiliated with Marvel or any of its subsidiaries or affiliated companies and/or third party licensors.